This is one topic I have avoided talking about, for a number of reasons, not the least of which is that I haven’t had a full resolution of symptoms. However, I have significantly improved my symptoms. I’ll share interstitial cystitis treatment options below. 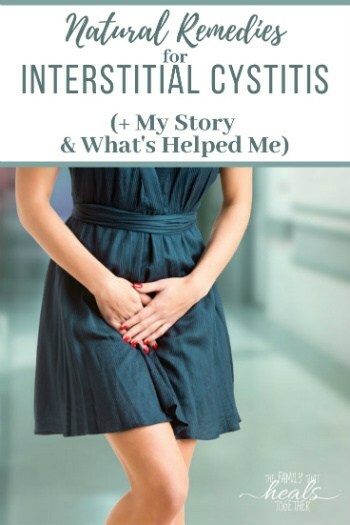 My battle with interstitial cystitis (IC) started nearly five years ago. I had a two month old baby, so I was severely sleep deprived, which will have an effect on the immune system. It was my birthday weekend and I indulged in a little sugar. By Monday I had what felt like a UTI. By Wednesday, it had turned into a raging kidney infection, complete with fever, chills, and lots of pain. After the kidney infection passed, I was left with the most severe UTI I’d ever experienced. The pain and urgency were so intense that I could not drive across town without having to stop and run in to a convenience store to relieve my bladder. I used every natural remedy I was aware of: d mannose, uva ursi, monolaurin, colloidal silver, craberry juice… the list goes on. Eventually, I relented and got antibiotics. By the end of the 10 day course, my symptoms were gone, but as soon as the course of antibiotics was over, they returned with a vengeance. I tried another antibiotic, but this time, the symptoms did not abate. I spent the next several months trying one natural remedy after another and wondering what the heck was wrong with my body and why I couldn’t clear these symptoms. As the months progressed, I continued to have symptoms of a UTI: pain and burning when urinating, frequency, and nocturia (frequent urination at night). My quality of life really began to suffer. When my symptoms became unbearable, I would relent and go to urgent care for antibiotics, but they never helped. I nearly fell out of my chair when testing showed that there was no longer a bacterial infection. Why did I still have these symptoms??? If you have symptoms of a UTI, but testing shows no infection, it might be IC. On one hand, I was devastated that this most likely meant I had a horrible autoimmune condition for which conventional medicine offered very little relief, but on the other hand, I was somewhat relieved to be getting closer to answers. If you’re suffering from symptoms of IC, you’re not alone. There are literally millions of people suffering from this horrid condition, but not many people are talking about it. How do you know if it’s IC? There are some tell-tale signs. 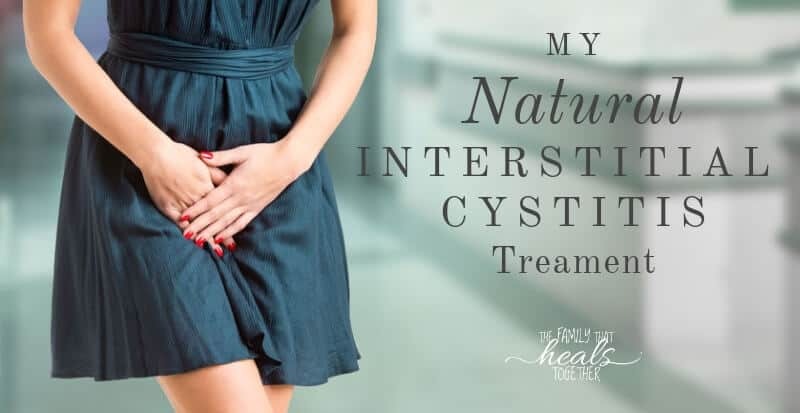 What signs and symptoms would you expect to see with interstitial cystitis and why? Pain or discomfort while the bladder fills, with relief after urinating. There are several theories as to the reasons these symptoms occur. For one, the bladder lining may be damaged or defective due to lifestyle or genetics. In addition, IC may be an autoimmune condition in which the immune system attacks bladder tissues. Symptoms may also be due to a histamine response in the bladder. What does IC bladder pain feel like? The urologist suggested long-term antibiotics, which I declined since I was breastfeeding. Plus, I was determined to deal with my IC symptoms without doing any more damage to my already fragile gut. Though I still have symptoms of IC, I have been able to greatly reduce symptoms and live a normal life. I do deal with worse flares from time to time. Right off the bat, I knew there was very little relief to be had by taking the conventional medicine route. My urologist ran down the usual suggestions, none of which truly offered healing. I knew there had to be better options, ones that didn’t cause side effects that would further harm my body. I really have to preface this by saying this has been more of an experiment than a treatment, and it has definitely been more of a marathon than a sprint. Nonetheless, I’ve had some success with easing symptoms, so I’ll share the main things I’ve done to help my IC symptoms. What foods soothe the bladder? For the first six months, I had severe frequency and had to get up several times a night to use the bathroom. When I focused on cutting out foods that irritate the bladder, and focused on foods that soothe the bladder, these symptoms abated, and I no longer woke up through the night to use the bathroom. I learned that sugars were one of my worst IC pain triggers. Funny enough, the month that I did the Whole30 was when I experienced some of the worst IC pain, probably due to the overabundance of dried fruit that I ate to quiet my sugar cravings. Sugar is sugar in the body, and dried fruit has a lot of it. Foods that may soothe the bladder include nourishing, bland foods like soups and broths, vegetables, meats, and eggs. It is theorized that IC is actually a leaky bladder, and an extension of leaky gut. With leaky gut, undigested food particles leak through the gut and wreak havoc elsewhere in the body. When the bladder also becomes leaky, the lining of the bladder may allow irritating food components to travel through the urinary system, causing symptoms of pain and burning. What can I drink to soothe my bladder? Pure water should be the main drink, and to have a happy bladder, you want to drink just enough. 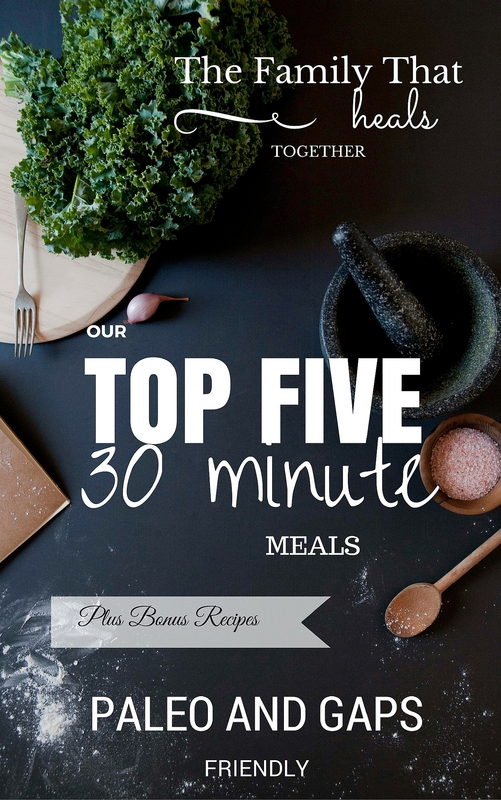 Your weight in ounces is a good rule of thumb. In addition, I find that making bladder-soothing herbal infusions really keeps my IC symptoms at bay. To make an herbal infusion: brew about 1/4 cup of dried herbs in a quart jar with boiling water. Cover and let sit overnight, then drink the next day. My favorite herbs for bladder and kidney health are nettle, horsetail, and marshmallow root. This combination is very soothing for my bladder and often eliminates my symptoms. In addition to changing my diet, I have found that certain herbs have had a positive impact on my IC symptoms. I’ve used them in a variety of ways, from teas to tinctures to capsules. You can find lots of herbal remedies that are pre-made for bladder health and symptoms of IC, such as this Bladder Calm formula, and this Urinary System Support formula. IC is not an infection… or is it? While conventional testing methods fail to detect infection in the case of IC, there is some evidence that infections may actually be at the root of IC symptoms. In fact, treating myself for infection has resulted in lesser IC symptoms. There are also theories that infections may be masked by biofilm, a mucus-y plaque that pathogens hide in, allowing them to reproduce and form colonies. Breaking down biofilm within the body may help to uncover infections that could be contributing to IC symptoms. I’ve found that treating my IC symptoms as an infection has provided relief. When combined with a biofilm buster, supplements seem to be more effective. Biofilm buster– super strength enzymes that break down biofilm in the body. This is the one I use. Extra Strength Advanced Cellular Silver– a super powerful and effective colloidal silver that kills stuff quickly! This is the one I use. Monolaurin– I like one that contains olive leaf, which is also good for combating infection, as well as humic acid, a mineral-rich ingredient that helps to increase the efficacy of other components. This is the one I use. Another route I took when addressing my IC symptoms was pelvic floor therapy. My therapist helped me understand that both loose and tight pelvic floor muscles can contribute to IC symptoms. When there is significant relaxing of pelvic floor muscles, leading to prolapse, the bladder may not fully empty, which can lead to chronic infections and bladder dysfunction. When pelvic floor muscles are too tight, they can cause spasms in the bladder and urethra, which may account for some IC symptoms. While ultimately, pelvic floor therapy did not resolve my symptoms, I did find at times that it seemed to help, and it’s definitely a route worth exploring if you’re suffering from symptoms of IC. While I have been able to reduce my symptoms, I continue to explore avenues to get complete relief. V steaming. I tried this recently and noticed it had a significant relaxing effect on my pelvic muscles. Read about my awkward and hilarious experience here. PRP therapy. AKA the “O shot.” This treatment uses your own blood, separating platelet rich plasma cells, and injecting them back into areas where you need healing. Pro athletes have used this therapy for years to speed healing, and now doctors are using it for facials (aka “vampire facials”), as well as women’s health issues like incontinence and sexual dysfunction. Women have reported resolution of IC symptoms with this treatment as well. IV vitamin therapies. High dose vitamin C has been shown to combat everything from cancer to chronic fatigue, so it may be worth consider for treating IC. Consider a kidney cleanse to help with urinary system health. Read how here. Many women find that they are able to get complete resolution of their IC symptoms. The fact that I’ve been able to minimize my symptoms gives me hope that IC can, indeed be healed! Do you suffer from IC? What interstitial cystitis treatments have you found to be most effective?